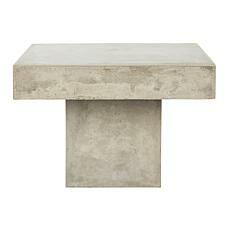 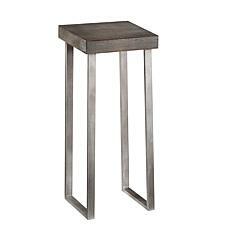 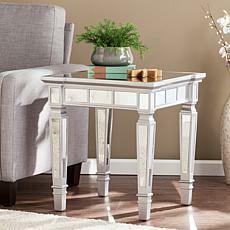 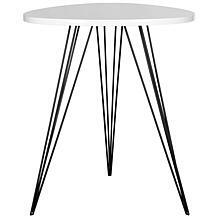 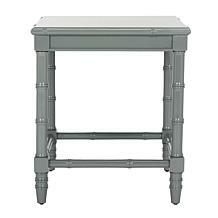 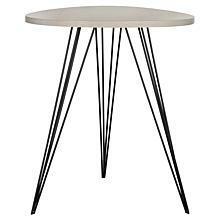 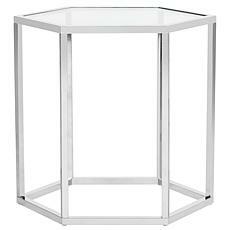 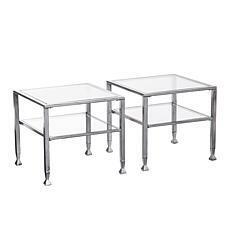 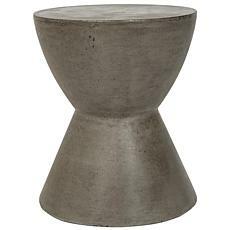 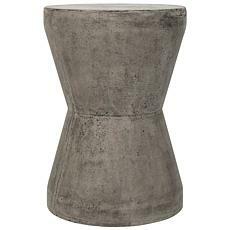 Take geometry from classroom to cool with this galvanized accent table. 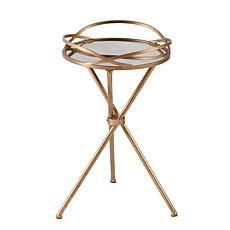 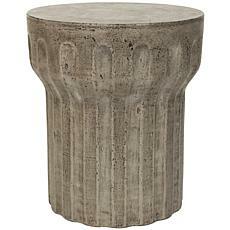 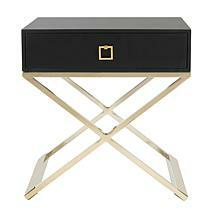 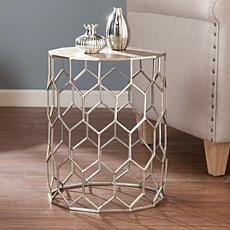 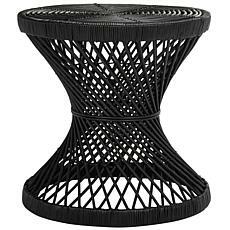 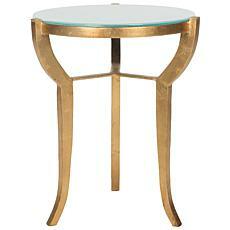 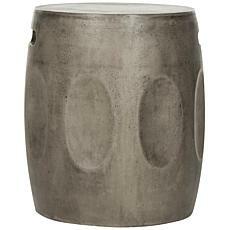 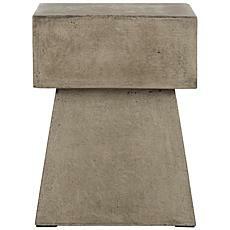 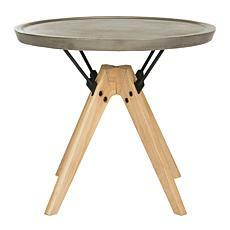 With its hexagonal honeycomb frame, this all-metal side table appears as though forged from one sheet of ancient iron. 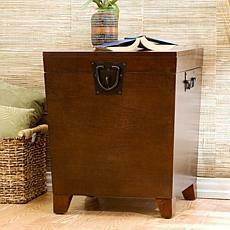 Peek-a-boo storage hides beneath while stacks of crossword puzzle books and your cup of coffee relax up top. 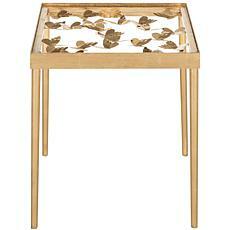 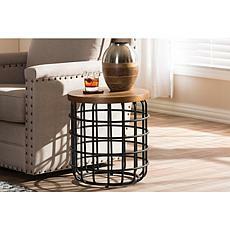 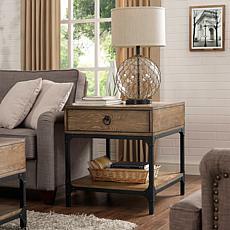 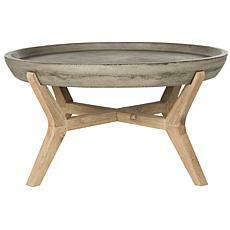 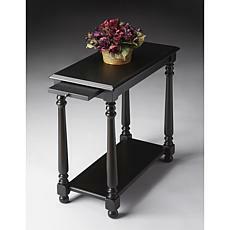 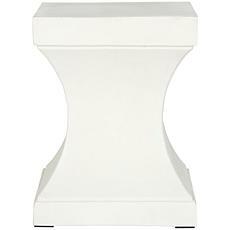 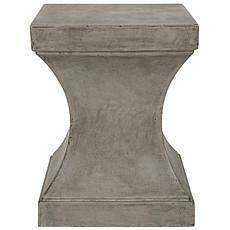 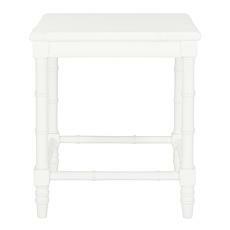 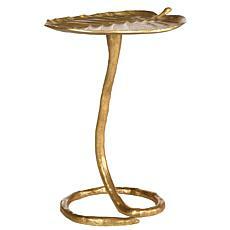 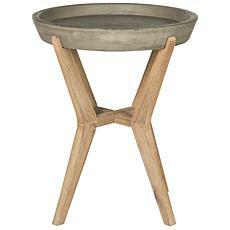 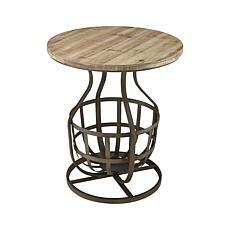 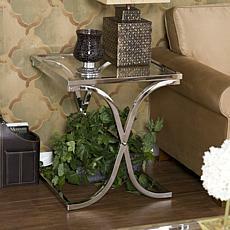 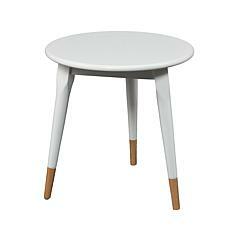 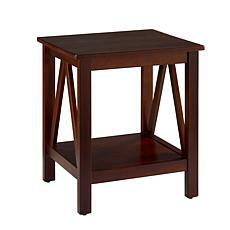 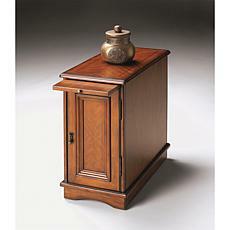 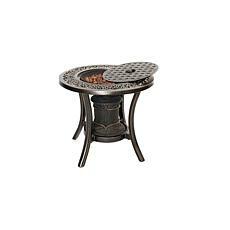 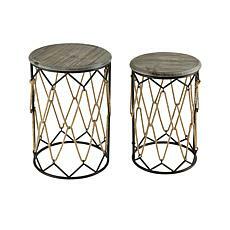 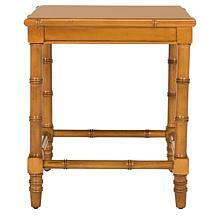 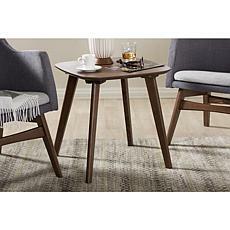 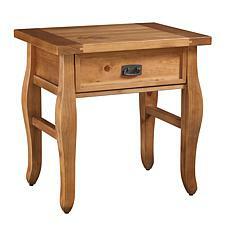 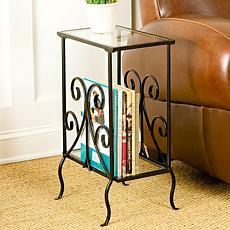 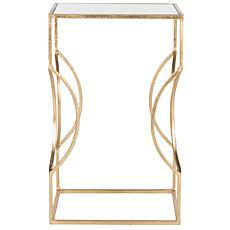 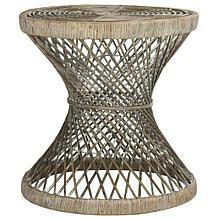 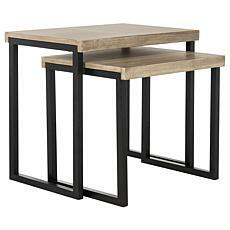 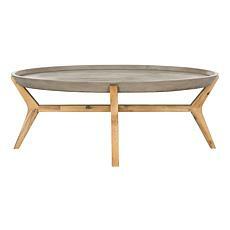 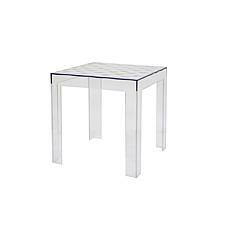 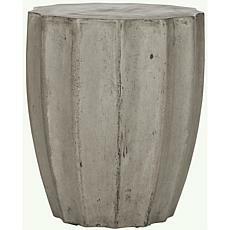 Southern Enterprises Holly and Martin Zico Water Hyacinth Accent Table Go au natural. 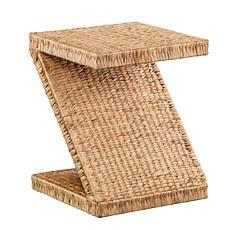 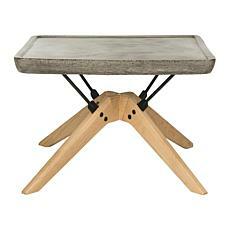 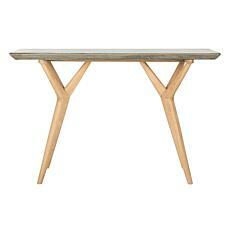 Infuse your home with natural instincts and this woven hyacinth Z-frame table. 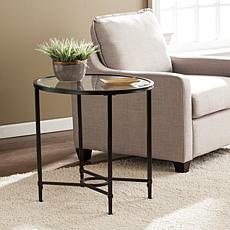 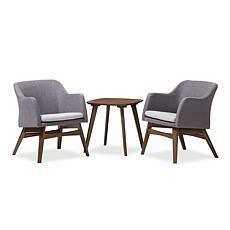 Its small stature fits into the tightest of area of your living room, den or your open-concept shared space. 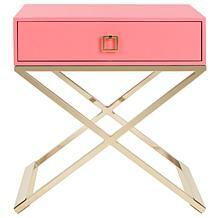 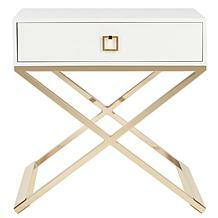 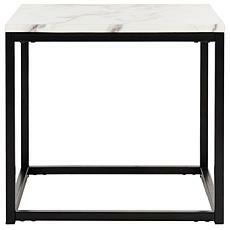 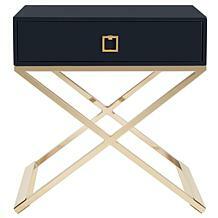 A favorite of interior designers, this contemporary side table brings a bold burst of style to the living room, bedroom or entryway. 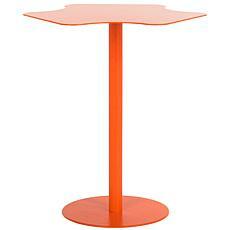 Finished in a dramatic radiant orange, its metallic coating ensures its smooth finish stays sleek. 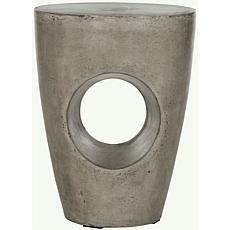 Truly a modern investment.